The world has difficult challenges that can be tackled with deep tech—Artificial Intelligence, Blockchain, Medtech, Space Tech, etc. In recent years, Singapore’s deep tech ecosystem has been fast growing, with venture-catalysts, talent, corporate and government partners working with scientists and researchers to build companies. 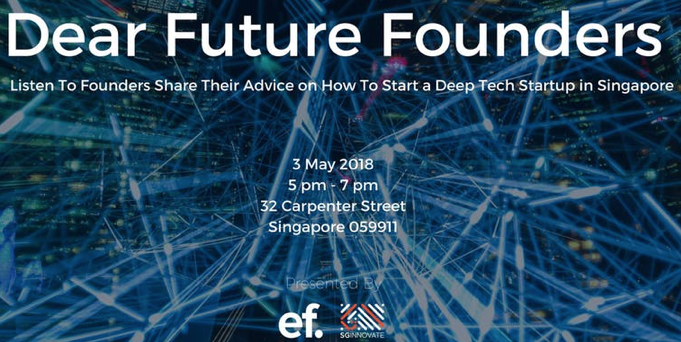 Join us on 3 May and hear from founders and investors on how to build deep tech companies in Singapore.